From Def Leppard’s drummer Rick Allen to a number of Michael Jackson’s family, Calabasas, CA is known for being home to a number of wealthy and famous people. The city boasts a standard of living to which most can only aspire. Calabasas features a median household income of $119,624. Though life is pretty good for most of the residents of Calabasas (Hidden Hills is celebrity central and was featured on the E! TV series “Keeping Up with the Kardashians”), the city is not without its mold problems. Wet winters followed by hot summers leave many residents with seemingly spontaneous mold issues that seem to appear out of nowhere, though in reality the spores have likely been festering for months. Speak with our certified and experienced project coordinators whom can address any questions or concerns about your situation, estimate, or project. 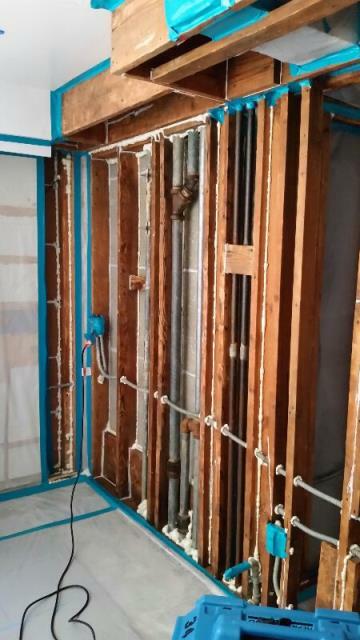 Our mold removal begins by containing all affected areas using protective barriers in order to prevent cross contamination of unaffected areas of the property. We then cleanse the area using HEPA filtration and a negative pressure vacuum. This cleans out any airborne particles such as dust, allergens and mold spores. We next remove and properly dispose of any damaged materials such as carpet, drywall, furniture, bedding, etc. Anything salvageable can be cleaned at your request. We only throw away items at the consent of the owner. All affected areas are then treated with a hospital grade biocide, or green treatment to disinfect any fungus. The surrounding areas are then decontaminated. Once all mold has been removed, the work area is sealed with an antifungal encapsulate. Lastly, the project area is subject to clearance testing, with the results sent to a third-party lab for processing to ensure the integrity of the results. Once clearance testing verifies the mold has been removed, the entire property is subject to our industry leading 10 year warranty. We guaranty mold will not return to the property for a full decade, or the cleanup is on us. Since we’ve been a company providing mold removal services to the Greater Los Angeles area for over 20 years, you can trust we’ll still be around to fulfill our promise. Our professional, certified consultants explain every step of the process, with continual updates throughout the project. 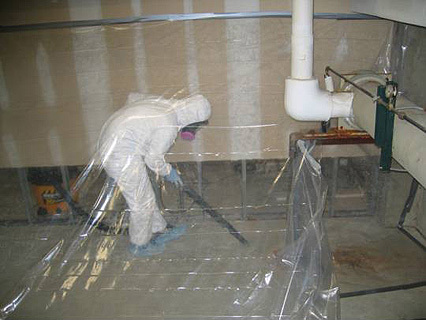 What sets Indoor-Restore apart in the mold removal industry is the specialization of our technicians. All mold removal specialists are certified through the Indoor Environmental Association (IEA) and the Mold Inspection, Consulting and Remediation Organization (MICRO). Our protocols exceed the recommendations of the Environmental Protection Agency (EPA) and the Occupational Safety and Health Administration (OSHA). We surpass our competitors through the rigorous training of our staff. Contact us for an estimate for mold removal! Our detailed in-house training program includes classroom and on the job testing, including quarterly evaluations and recertification twice per year. Many of our technicians have construction and building inspection backgrounds so they understand the structural issues involved in mold decontamination. Indoor-Restore features the best prices in the mold removal industry, guaranteed. We promise to beat any competitor’s price by at least 5%. All pricing is provided upfront so there are no surprises. If you face a mold issue, Indoor-Restore is your one stop solution. We cover everything from the inspection to the mold removal to the restoration of the property, if needed. We’ll return the property to as good as new, no matter the condition. We work with everyone from Fortune 500 companies to celebrities to homeowners and business owners just like you. Our customers include the US Forest Service, Netflix, and the Oakland A’s. Give us a call today for your free estimate. Let’s make your property beautiful and healthy again. A clean home or business is only a phone call away.